Track complaints in one easy to use system. 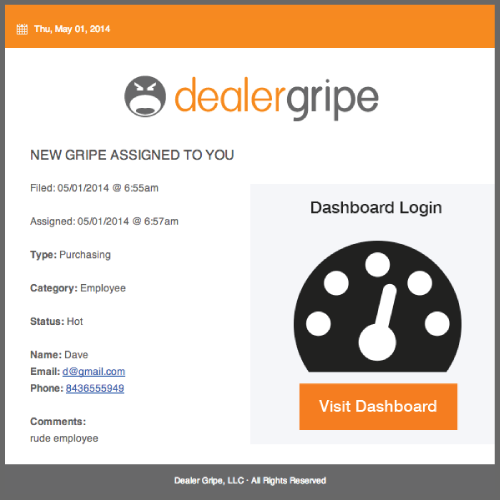 Dealer Gripe allows the complaint manager to track each individual complaint, monitor work made on each complaint, and track the timeliness in which complaints are closed. 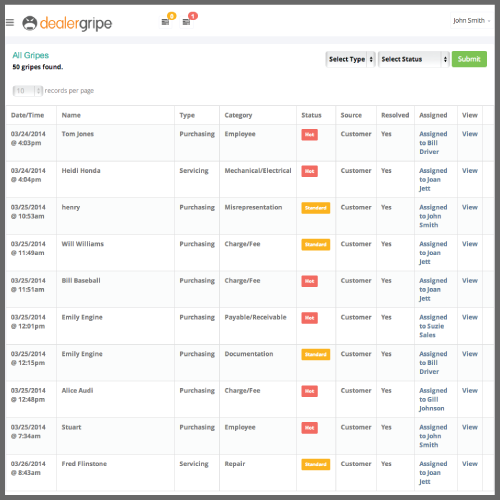 The Dealer Gripe system allows the complaint manager to track complaints based on the type of complaint received, time it was received, and even the complaints current status. Receive time sensitive Gripes when you want it and to whom you want to handle it. The dealership can designate how much time is allowed to answer complaints and if that time is expired, the complaint will be elevated to a higher level. The dealership will choose who will be notified when a Gripe comes in, that is sure to cause legal trouble for the dealership. Compile reports across dealership groups, track trends, and manage resolution times in real time. 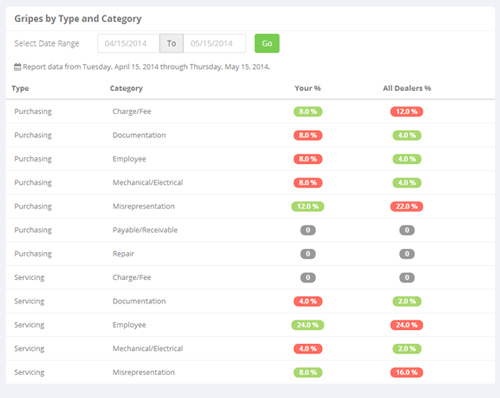 Dealer Gripe is a great management system to observe trends across the dealer group, 20 group, or in geographical areas! It is also a great way to compare your dealership to those of similar size in similar geographical areas!